We sat in B’s dining room to work on this Re-Creation. She had her mom’s original engagement ring and wedding band and wanted to use them maintaining their original charm. Using the diamonds from B’s engagement ring, we made another perfect matching wedding band. She wanted some width so we used a wide white gold band setting the three rings into the white gold band. Mom’s diamonds, her diamonds and some creativity made an exclusive, elegant and meaningful ring that both her daughter and granddaughter will one day cherish. 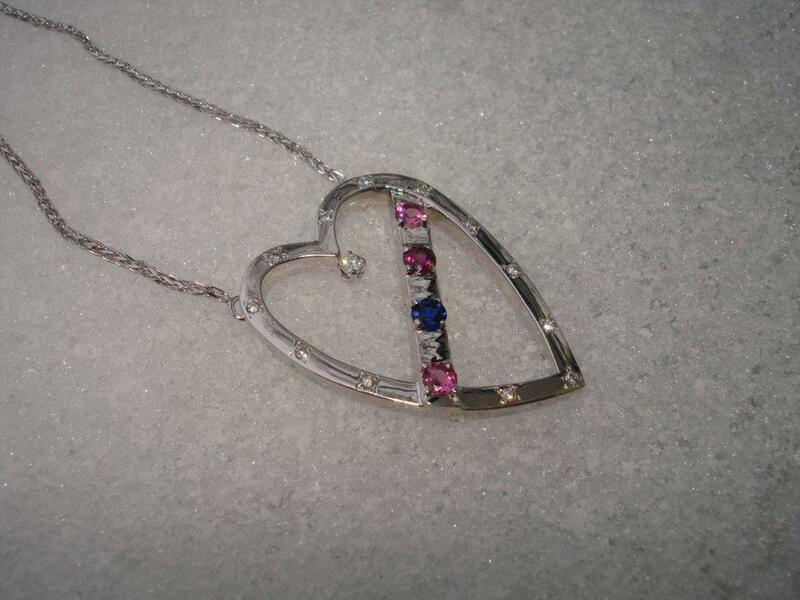 She designed it herself – wanting a family pendant representing all that her heart holds. It’s dazzling, it’s unique and it tells a story for the next generations. You don’t have to sacrifice golf time to spend time in the mall. Let Oro de Rey look after your important jewellery purchases. Our Concierge Jewellery Service will take your ideas and bring them to your doorstep – whether it’s at the office, your home, or your golf club. Where have the first weeks of 2013 gone? From warm fireside evenings in December to busy, blustery days in January, it is a wonderfully busy time. There is something very enchanting about taking jewellery that has its own story and history out of a dusty jewellery box and looking at it again with fresh eyes ready to set a new story in motion. I have a few stories I want to share with you in the next while about just that. Many years ago, a dear family friend passed away leaving a 75 year old signet ring to her husband. It was damaged, bent and the gold had worn thin. The engraving on the ring was faint and difficult to distinguish. You know – one of those rings that has sentimental value but really can’t be worn. So it sat tucked away in a jewellery box hardly remembered. That is until this fall. This fall she remembered it and brought it to me to see if it could come back to life for her husband. She was very “thought-full” in what she wanted that story to look like. So we built a new shank, new top plate and engraved his initials on it. When he looks at it, she knows he will remember that old friend. He’ll also remember her thoughtfulness. But those initials are not just part of her husband’s story. They are the same initials of their son’s. One day, it will be part of his story. Don’t you love it? The Santa Claus parade has passed. American Thanksgiving, Black Friday and Cyber Monday have all passed. The Grey Cup game has come and gone. Now comes the anticipation of December. For some of us Hanukkah is next and perhaps a winter getaway. For my family, it’s a season of anticipation. We have so many traditions. Grocery lists are including spices like cinnamon, nutmeg, star anise; nuts like walnuts, pecans, almonds, candied fruit and the list goes on. All in anticipation. So much to look forward to. The emerald cut diamond engagement ring is in production. The CAD machine has just completed the wax for the mount. The ring will be made in gold and then cleaned and polished. The diamonds are waiting to be set in the ring. His anticipation is building. He’s got so much to look forward to. Did you know Oro de Rey, means Gold of the King, in Spanish? When we were looking for names, a dear Spanish friend who’d been in the industry for years, suggested I consider a name that was reflective of the mystique, beauty, and romance that is gold. 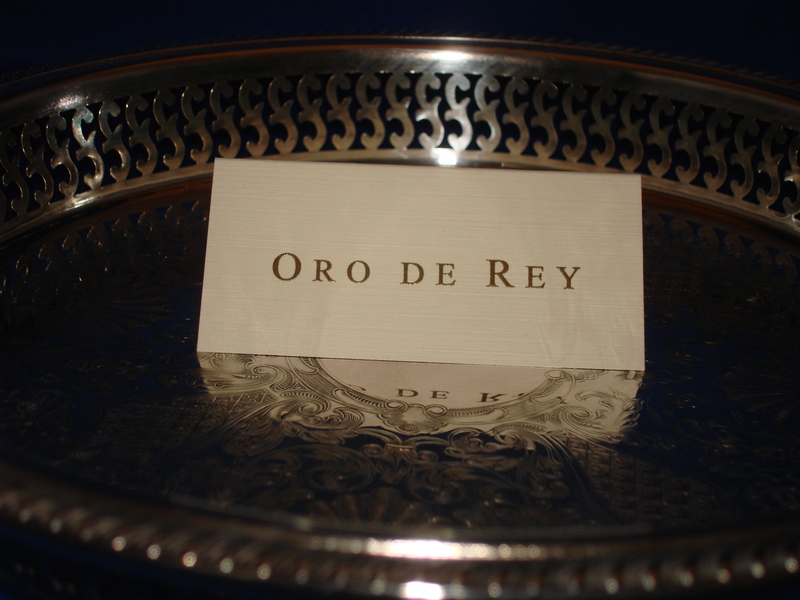 We played with a number of different names until we came up with Oro de Rey – taking both the romance of the word Oro and my name into account. I loved it! Still do. When you buy your jewellery from Oro de Rey, you are guaranteed you will receive the service best bestowed on royalty. Whether you are purchasing something small or large – we are honoured that you came to us and our service, quality and prices will reflect that. We will work within your budget. You will walk away with your head held a little higher, your shoulders back just a little more and a smile of approval on your lips.